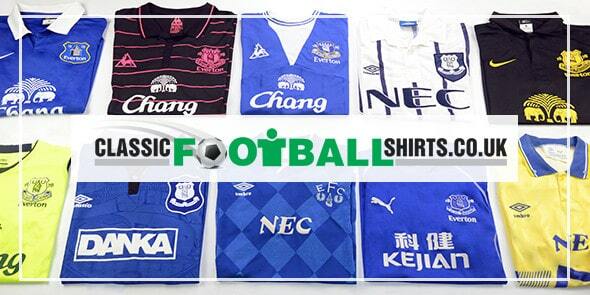 Classic Football Shirts stock a huge range of original football kits from all over the world, leading brands such as Adidas, Nike, Puma, Asics, Kappa, Lotto and Joma to name just a few. Whether it be new products with the tags still on, rare player issue items or pre-owned classic shirts from the past, the site has something for any football fan. With kits dating back to the 1970’s right through to this season’s collections, you’ll find it hard not to reminisce about the fond memories from yesteryear. Who holds the record all-time appearance record for Everton?